process to effectively bring campaigns to life. 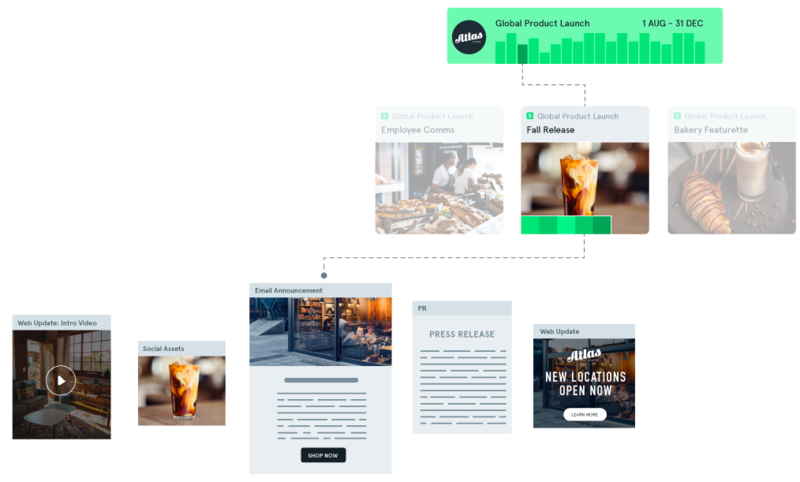 Architect, approve and deliver your communications mix with Opal's StoryFirst™ Framework. Plan stories, identify moments and populate content using a shared language and common structure. A shared dynamic calendar for past, present and future campaigns, events and programs. Configurable work and approval flows that enhance and standardize your process. View content as it will render on the channel across mobile and desktop views for pixel-perfect previews. Get approvals by all of the right people to minimize brand risk. Easily send content, calendars and plans to stakeholders across your organization with customized and live presentations. IT approved platform and award-winning customer service in your back pocket. Opal unites your marketing investments, no matter what mix of tools you use.